Get Fit with a Detox! Detoxes are a great way to lose weight and rid your body of toxins. The only issue with detoxes is that they can be extremely expensive and unreliable. I never want to spend a ton of money buying some crazy detox that might not work. In this post, I am going to list and explain a few different remedies that I use when I am feeling bloated, low energy, or just unhealthy overall. My only suggestion is that you do not try all of these remedies at once, you don’t want to overload your body with these powerful substances! Toxins from low quality, processed food, and even pollution from your surroundings can cause serious problems with your health and your body composition goals. Detoxification helps to eliminate those toxins and can help generate a healthy digestive system! 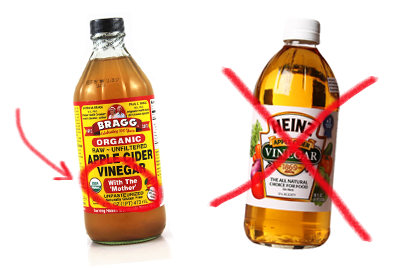 Apple Cider Vinegar *with mother* was created by fermenting the sugars from apples to turn them into an acetic acid (which kills bacteria to prevent them from reaching harmful levels in our bodies!) You can either take a tbsp shot of it in the morning, mix it with olive oil as a salad dressing, or mix it with water. If you have never tried green tea before, I am warning you that it does not have much of a taste. Some people like the taste and others are so used to drinking sweetened tea’s that green tea is less favorable. Avoid the green tea you would find in a bottle at the store. The only one to trust is the “Just” Green Tea by Honest Tea. Always be sure to check the nutrition facts before choosing a tea that you are not personally brewing yourself. No sugar should be listed on the label! Here are some great options of different types of Green Tea to buy! Activated Coconut Charcoal is taken in capsule form. It is not something you derive from a coconut yourself, but a small, usually black colored pill. The charcoal is derived from coconut shells and does not include any other ingredient. This is more of a timing supplement. You will want to take this ingredient when you are being exposed to these processed toxins. I buy my Pink Himalayan Salt from Trader Joe's, but you can find it at almost any grocery store. Like I mentioned before, don’t go crazy and try all of these remedies at once, they are meant to be tested and tried to see which one works best for your body. I have tried each of these remedies at different times and have had success with each one of them! I hope you enjoy the post and try out some of these detoxes!